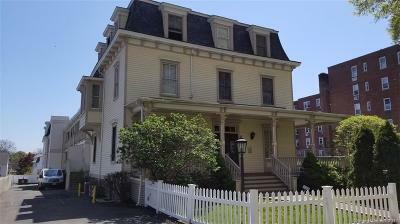 2 bed/2bth ranch style condo in mid-city Stamford. Living Room with laminate floors, gas fireplace and sliders to deck. Master with attached bath, walk-in-closet, shoe closet and a private deck. Sizeable guest bedroom and full hall bath. Kitchen with granite counter tops, newer black splash, walk-in-pantry with washer/dryer.Gas heating. Tankless water heater. Extremely low utility bills. Garage parking(#6) and ample of visitors parking around the building. 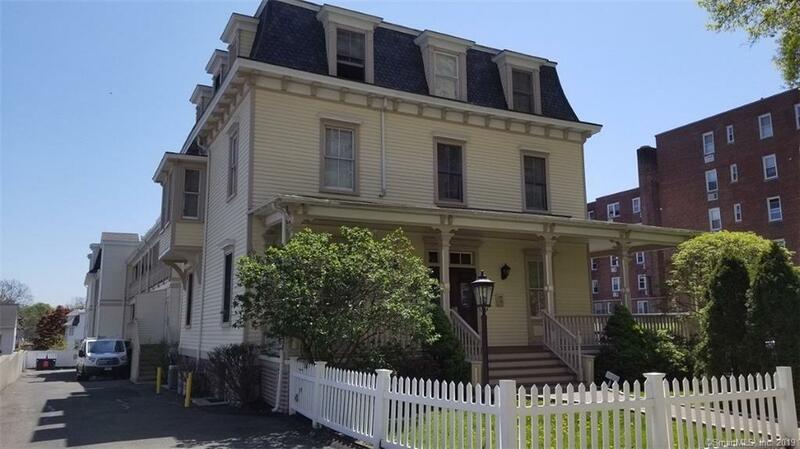 Secured well maintained Victorian style building with elevator. Walk to restaurants, theater, library, mall and bus stop.Close to highway and RR. Pet friendly.